Cauliflower is the world’s healthiest vegetables and it is also quite easy to cook. 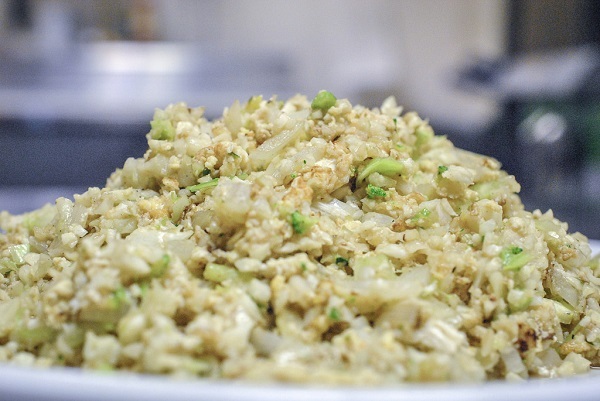 You can roast it, fry it or even ‘rice’ it. 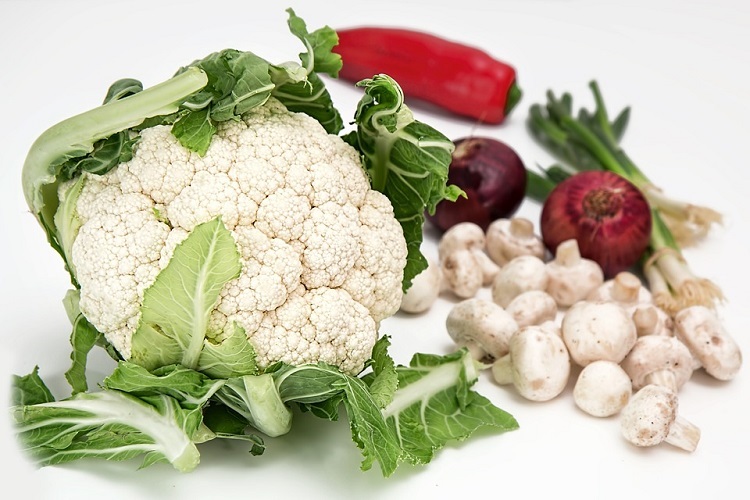 These days, many people use cauliflower in place of flour or rice to make their dishes healthier and lower in carbs. 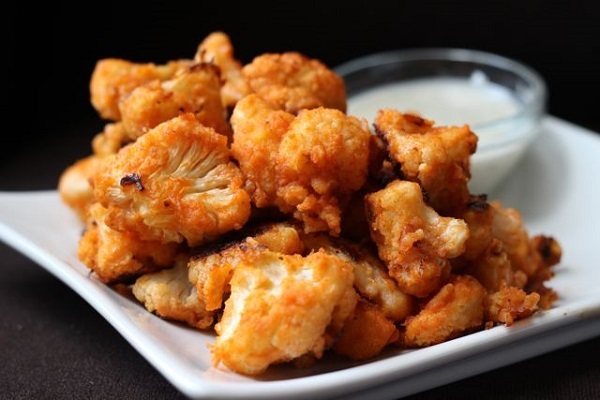 Let us take a look at some interesting ways to cook cauliflower. This is a bold, Indian inspired cauliflower pickle recipe you will love. It has turmeric which can stain clothing, so make sure you wear an apron to protect them. In a stainless steel stockpot, add all ingredients except the cauliflower and onions. Bring to a rolling boil then add the florets and simmer until lightly cooked and still crisp. Use a slotted spoon to remove the florets and transfer them to sterilized pint jars. Return heat under the brine to hard boil. Use ladle and funnel to pour the brine over the cauliflower leaving ¼ inches of space in the jar. Fasten the jar lids and transfer the jars to a canner filled with boiling water. The jars need to be covered up to 2 inches. Close the canner and return the water in canner to a boil and process it for 15 minutes. Carefully remove the jars and cool them on wire racks. You can now remove the rings, wipe the jars clean and label them. Store this pickle for up to a year in a cool, dark place. Wash the florets and steam over medium heat for a few minutes. In a small pan, heat the oil. Add garlic, spices and fry for a few minutes. Add cauliflower, lemon juice and a few tablespoons of water. Turn the cauliflower until well coated with spices. On a baking sheet, pile the wedges, add olive oil, salt and pepper and toss to coat well. Add the remaining olive oil to the garlic and wrap the wedges together with the garlic in an aluminum foil. Bake the assembly in preheated oven at 400 F for 20 minutes until cooked. Transfer garlic and cauliflower to a food processor and process until smooth. If the texture appears grainy, add some milk. Process until smooth and creamy. Wash the florets in water. Add a bit of milk and salt and parboil the florets in water for a few minutes. The vegetable must remain crispy and not mushy. Drain the florets and dry on a cloth. Pass them through egg and coat them with breadcrumbs or rusk. Sprinkle with butter and serve with sour cream or cheesy dip. Pulse the florets in a food processor until grainy. In a skillet, sauté onions with a bit of salt until brown. Add the grainy ‘rice’ and cover and cook till tender. Season with pepper. Steam or parboil the cauliflower with the stem. Once cooled, pulse it in a food processor until it reaches consistency of paste. Strain the puree in a fine muslin cloth. Spread the paste on a plate-you can try drying it further using a hair dryer. Now add almond meal and Parmesan cheese to the paste. You can also add egg, cilantro, mixed herbs or oregano and parsley. Season with salt and pepper. In a greased 10 inch baking sheet, press down the ‘dough’ firmly. Bake in preheated oven for 20-30 minutes at 180 degrees C. You need to test the dough from time to time. Make sure the crust is not soggy nor is it burnt. Oven temperatures vary, so keep a close watch. 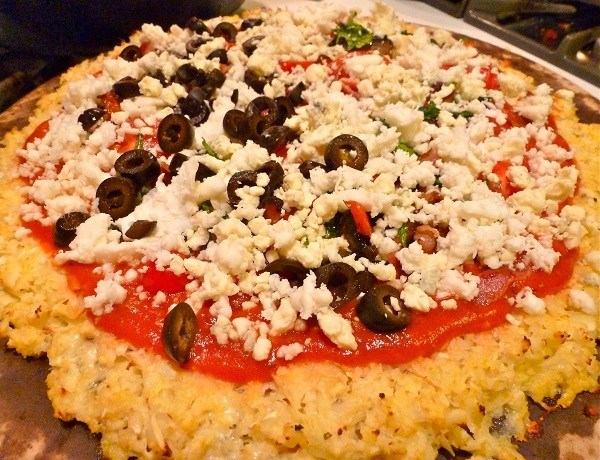 Once done, assemble the pizza toppings of choice and bake further. Serve immediately. 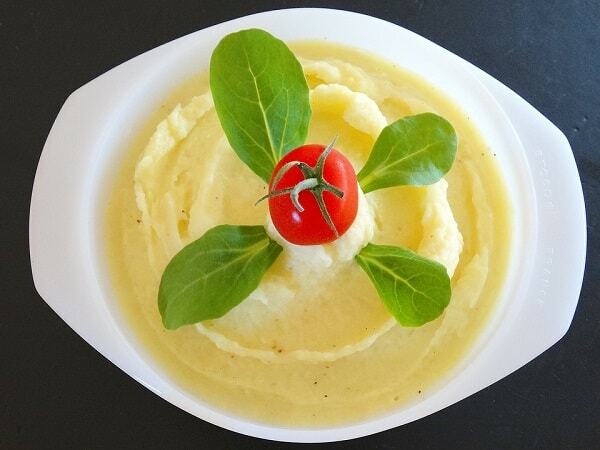 Isn’t this one of the most interesting ways to cook cauliflower?